Mr. Sanford Hardin, 82, of Hwy 72 East, Lumberton, died January 14, 2019 at Southeastern Hospice House. He was born in Robeson County, NC on January 23, 1936 to the late Murphy Hardin and the late Bessie Locklear Hardin. Mr. Hardin was a retired Federal Paperboard employee with 25 years of employment with the company. He loved carving flutes, attending church and auction sales. He will be greatly missed by all of the family. Mr. Hardin was preceded in death by a daughter Strawdie Catherine Hardin; two sons, Alton Hardin, Lloyd Hardin; two brothers, Orbit Hardin, William Hardin and one sister Jessie Bell Hardin Dial. 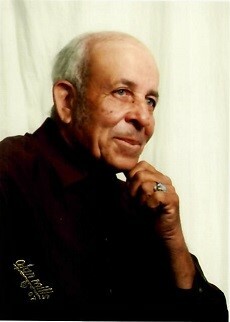 Sanford Hardin, Jr. of Fayetteville; twelve grandchildren, three great-grandchildren; from a previous marriage, one son, Clyde Hunt of Lumberton; two daughters, Janice Jackson and husband Grey Jackson of Fayetteville, Penny Smith of Lumberton; nine grandchildren, eighteen great-grandchildren, and five great-great-grandchildren.